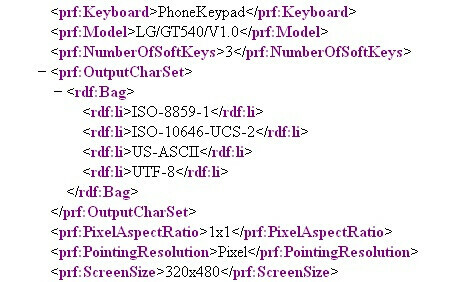 The LG GT540, another Android-based handset by the manufacturer? LG´s first Android-based handset, the GW620 has been on the market for several weeks now and we´ve recently found out the manufacturer plans to release more cell phones running the popular Google-made operating system, although no names were mentioned until now. However, information has just surfaced that the LG GT540 is one of the soon-to-come devices equipped with Android 1.5. The guys over at the Dutch website Tweakers have come across the name in an XML file that also indicates the cell phone will be equipped with display with native resolution of 320x480 pixels. Unfortunately, this is pretty much all we know about the LG GT540 at this time. We don´t have a clue what it looks like and whether or not the device offers any features that are more thrilling than what we´ve seen by now. We hope to unearth more information soon enough. LG + Android = The Muther****in' Truth.